Success Story: Rocklin Member Gerald M.
From October 15-20, all of our Cal Fit clubs are throwing a Party With a Purpose to raise funds for cancer patients and survivors. The money we raise with your generous donations will benefit two local organizations: UC Davis Comprehensive Cancer Center and Triumph Cancer Foundation. We a passionate about supporting the care they give to both those battling cancer, and those trying to regain their lives in its aftermath. We have a special connection with Triumph Cancer Foundation. Currently, we are partnering with them to provide locations for their training sessions with adult cancer survivors. We’re passionate about this partnership because of members like Gerald M.
Gerald works out at Rocklin Cal Fit, and he’s a cancer survivor. While he was not a Triumph participant, his experiences working with a trainer mirror those of many Triumph alumni. We’d like you to hear his story. “My experience has been life changing,” he admits. “My master trainer, Debbie Barry, has restored my flexibility and dramatically improved my strength and energy. 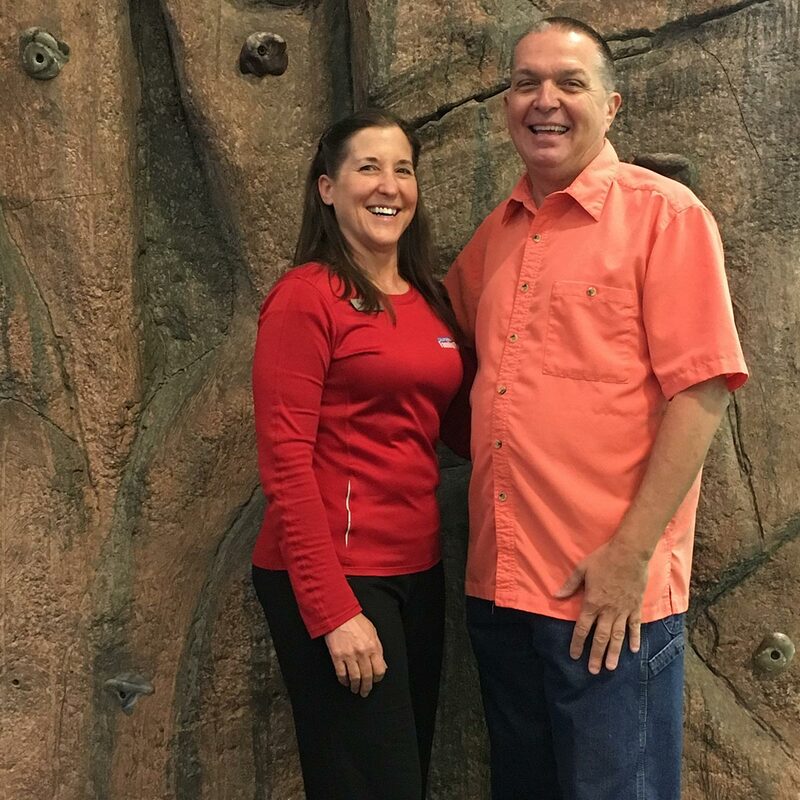 Debbie’s experience with cancer patients makes her a remarkable standout among the Cal Fit training staff.” Gerald explained that Debbie was able to pinpoint the areas he needed to work on, then focused on helping him complete exercises that supported improvement in those areas. Debbie’s knowledge and experience working with injured and disabled clients really impressed Gerald, and helped him in his recovery. We applaud Gerald for his commitment to staying strong and beating cancer. We’re proud to have trainers like Debbie at all our clubs, who are knowledgeable and able to help Cal Fit members reach an array of goals. Whether it’s conquering cancer or running a 5K for the first time, we have a trainer that’s perfect for you. Stop by and let us introduce you to your personal cheerleader. Want to help make a difference for other cancer patients and survivors? Join us in our clubs this week to Party For a Purpose.